Birds with angel wing are stripped of their ability to fly and therefore their main method of defense. Since the affected birds are unable to escape predators, they are often maimed or killed by them. For many, feeding birds at ponds and parks is a cherished childhood memory; one they lovingly recreate for their children and grandchildren. Tragically, thousands of birds die annually due to a condition overwhelmingly caused by people who don’t know this beloved activity can be deadly. How Do Birds Contract Angel Wing? How Is Angel Wing Treated? 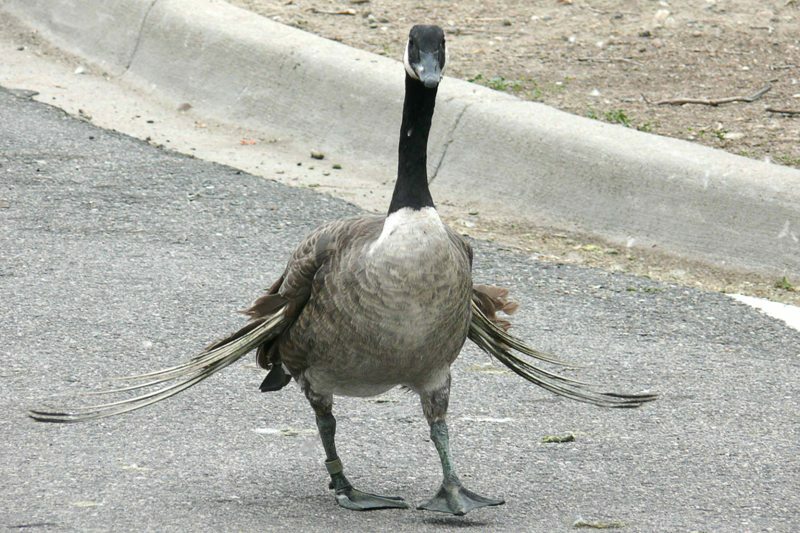 “Angel wing” is a deformity commonly found in ducks, geese, swans, and other waterfowl. There has been little scientific study done on the condition, yet most wildlife and waterfowl experts agree the overwhelming cause of angel wing is an unhealthily-high protein and/or carbohydrate-based diet. The disorder causes the last joint in one or both wings to unnaturally twist outward, rather than lying flat against the bird’s body. Birds with angel wing are stripped of their ability to fly and therefore their main method of defense. Since the affected birds are unable to escape predators, they are often maimed or killed by them. Additionally, when life-threatening weather conditions develop, they are unable to fly away to safety, and instead starve, succumbing to injuries or freeze to death. The birds most likely to contract angel wing are those residing in parks, on ponds, and in public areas where people feed them unhealthy food. As they grow, young birds subsisting on white bread and other inappropriate food sources can develop issues preventing their bones from forming normally, resulting in angel wing. Because birds grow much more rapidly than humans, each day’s nutrition has a direct effect on development. Even a few days of improper eating can cause irreparable damage. Studies suggest feeding waterfowl an unhealthy diet can accelerate growth, causing the wing to develop too quickly for proper bone support. 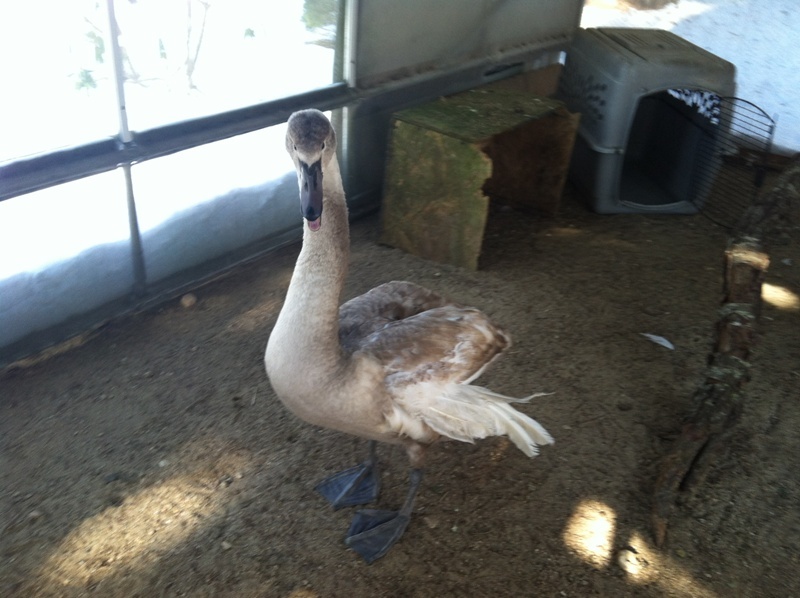 Cape Wildlife Center, a Barnstable, Mass.-based wildlife rehabilitation center operated by The Fund for Animals, an affiliate of The Humane Society of the United States, treats about 2,000 animals per year, including a significant number of geese, swans, and ducks suffering from angel wing. The highest incidence of admission is late fall or winter when affected birds have grown enough for the condition to be fully and painfully apparent. If the patients treated are very young, the condition can sometimes be minimized by splinting and repositioning the affected wing while feeding them a proper diet for optimal growth. Even then, a full recovery is not guaranteed. For rehabilitators, it can be emotionally taxing to see birds denied the chance for a full and productive life because people didn’t know about the dangers of improperly feeding them. For adult birds, the condition is almost always a death sentence: They are struck by cars, killed by predators, or die from nutritional deficiencies or weather extremes. Even birds who are rescued and brought to a rehabilitation center will surely die if set free. They must be placed with a sanctuary for the remainder of their life, and there are not enough sanctuaries to meet demand. 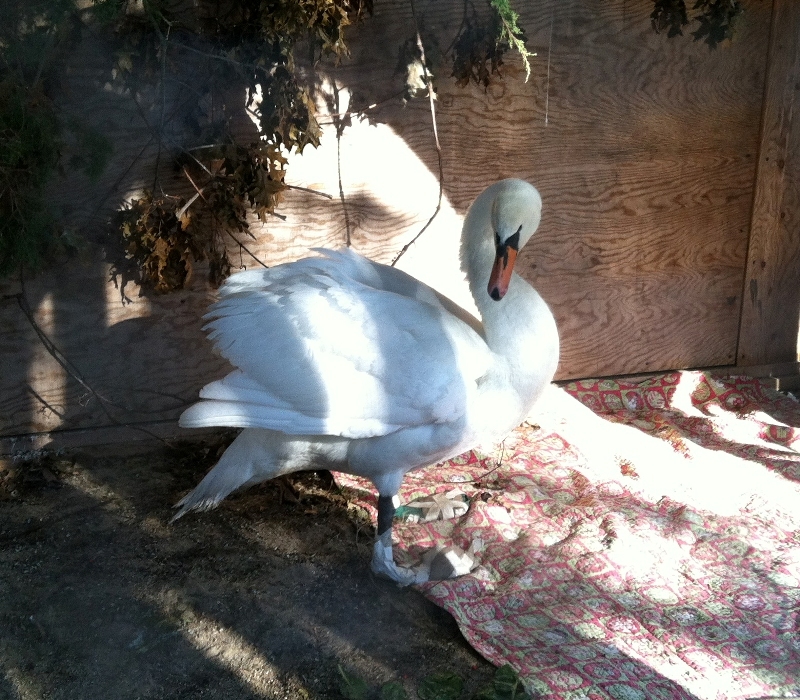 Angel wing can be drastically reduced by not feeding birds “people food,” including white bread, popcorn, or crackers. This simple rule will literally save lives. This doesn’t mean the enjoyable and bonding activity of feeding birds must be eliminated – you just have to identify areas where feeding waterfowl is supported, and offer the birds the right food to sustain their health. Nutritious waterfowl feed or duck pellets are inexpensive, easy to carry, and can be purchased at most feed stores. Seedless grapes cut in half, shredded kale, Swiss chard or romaine lettuce, and grains, including wheat, barley and oats, are all healthy food sources that will appeal to most waterfowl. Make sure anything you feed is bite-sized to avoid choking hazards. Feeding wild birds a proper diet preserves a treasured family tradition while teaching children the importance of making choices that strengthen, rather than undercut, the human-animal bond. In this way, we will rear generations of people recognizing the necessity for responsible stewardship and celebrate the value of compassionate co-existence with wildlife.